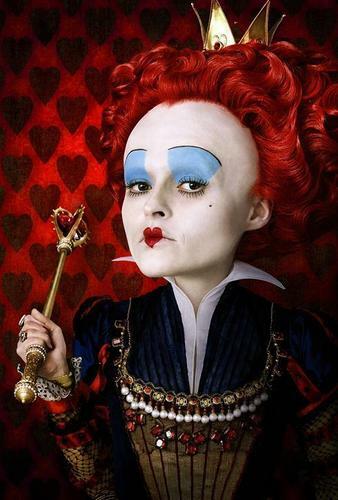 Officially Released Image of Helena as The Red Queen in Tim Burton's 'Alice In Wonderland'. . HD Wallpaper and background images in the Хелена Бонэм Картер club tagged: helena bonham carter actress tim burton's alice in wonderland the red queen official image movie film 2010.